One of my favorite pastimes as a child was dressing in costume for Halloween. I’d spend weeks dreaming up ideas for the perfect costume. And aside from the year my mother’s friend sewed me an amazing costume from scratch, my disguises were typically made up of bits and pieces of hand-me-downs. Seeing as I have such fond memories of transforming myself, it shouldn’t come as a surprise that my children are equally fascinated with donning alternate personas. So, every October we drag several bulging boxes from the attic and my children dig through our vast assortment of hats, suits and rubber faces. For my children, the fun only just begins with Halloween festivities. Being Catholic, we celebrate the whole Catholic trifecta (All Hallows Eve, All Saints Day and All Souls Day). 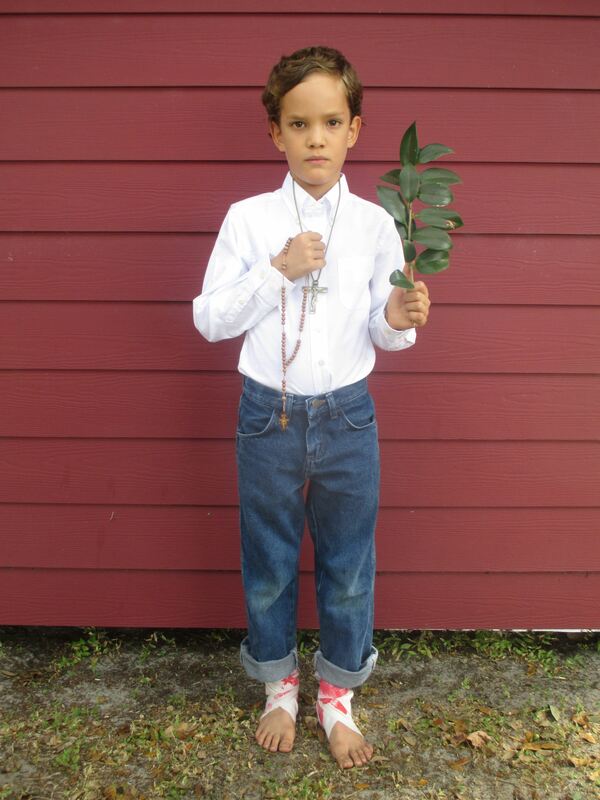 Typically, my children plan out two costumes (something for All Hallows Eve and something for All Saints Day). Of course, saint-inspired attire is appropriate for both events, but I suppose we like the added challenge of reinventing ourselves twice a season. Halloween is not dark and scary but a celebration of Christian hope. The saints we celebrate have won the race and now serve as a great cloud of witnesses spurring the rest of us on. Rather than avoid it, we, as Catholics, should reclaim the celebrations and resurrect their true Christian meaning. 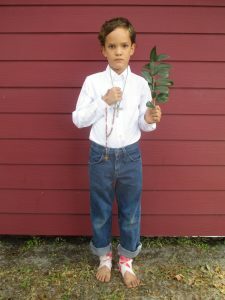 One way to do that is to imitate the saints by dressing the part. In fact, by choosing to wear saintly attire, we’ll be led to learn more about the lives of a few holy men and women. Before we fashion a costume of a blessed, saint or martyr, we’ll need to research the symbols (and virtues) that are attributed to our favorite holy models. Additionally, when we step out into the world dressed like St. José Sánchez del Río or Blessed Bronislava of Poland we’re likely to get asked, “Who are you supposed to be?” Which, of course, will open the door to sharing a bit of our rich Catholic identity with others (aka evangelizing). Perhaps, others are opting out of dressing up not because they find Halloween suspect, but because their budget and creativity are already stretched thin with other endeavors. If that’s the case, nothing could be easier than going as a saint to this year’s Trunk-or-Treat. Unlike comic book heroes with complicated suits, saints were real people who generally wore simple clothes. 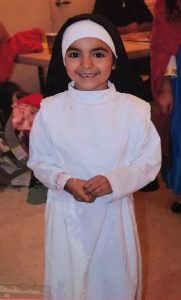 A white dress or bed sheet works well as the base for angels and religious Sisters. A brown robe or black cassock are the perfect start for a religious Brother or priest. A pair of wings, princess crown or breastplate make excellent props for archangels, royal saints and holy soldiers. St. Francis — Wear a brown robe with a piece of rope for a belt. 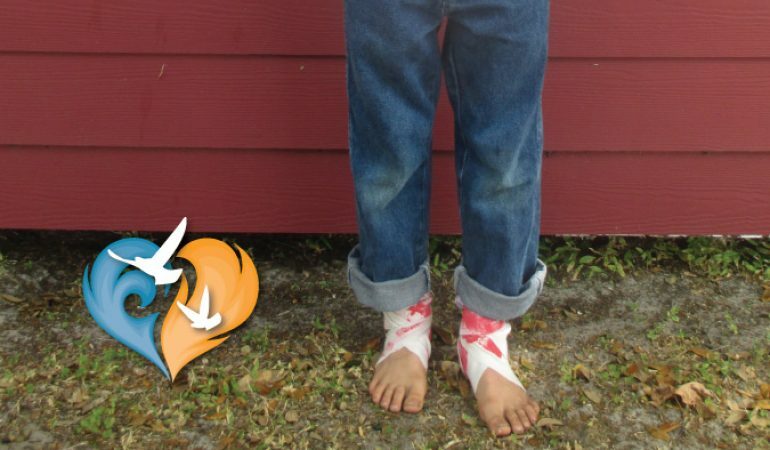 Carry a stuffed bird or wolf and use a red marker to draw on the hands (symbolizing the stigmata). St. George — Wear a knight’s breastplate, carry a sword and a toy dragon. St. Lucy — Wear a simple dress and drape a piece of cloth around the shoulders. Carry a plate with a picture of eyes on it. St. Agnes — Wear a white dress and drape a cloth around the shoulders. Carry a stuffed lamb. 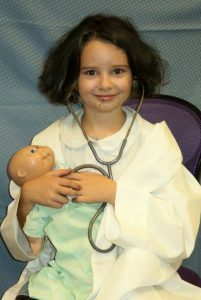 St. Gianna Beretta Molla — Wear a white coat or long shirt (to look like a doctor’s coat) and carry a baby doll and stethoscope. St. Joseph — Carry a lily and carpentry tools. St. Jacinta or St. Francisco of Fatima — Wear simple clothes and a head covering. Carry a rosary and shepherd staff or a picture of the sun. Kateri Tekakwitha — Wear a native American costume. Carry a lily and a cross. St. Juan Diego — Wear a Mexican sombrero and white poncho. Pin a picture of Our Lady of Guadalupe to the poncho and carry artificial roses. St. Zita — Wear an apron over a simple dress or skirt and blouse. Tie the hair back with a handkerchief or scarf and carry a broom. 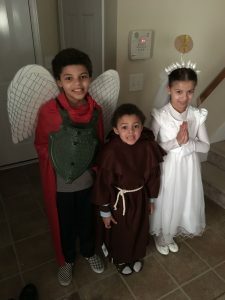 Whether you’re participating in the local Trunk-or-Treat, visiting the neighbors on All Hallow’s Eve or attending your parish’s All Saints’ Day Vigil Mass, embrace your Catholic identity and dress the part. How will you celebrate the saints this All Saints’ Day, November 1st?